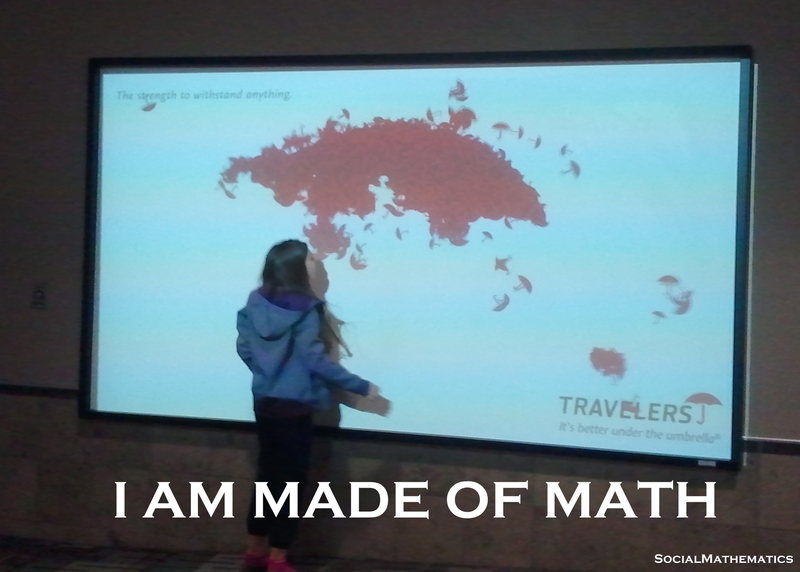 There are so many opportunities to appreciate mathematics when you travel. I recently spent three weeks in Europe. I was constantly grateful for Arabic numerals- Thank goodness we all use the same number system! Another one of my favorite examples of mathematics are these advertisements I’ve seen for travelers insurance in various airports. They have a projector and a motion detector. When no one is walking in front of them, they look like the banner above. But when you stand in front of the projector and wave your arms around, the little umbrellas go nuts. They fly away from your hands and slowly settle back to their self-similar umbrella shape. I could watch people do this for hours. Well, in reality, I watch people do this for about five minutes until I feel super creepy and go sit at my gate and read a book! This entry was posted in Art, Shopping and tagged Made of Math, Travelers, Umbrella. Bookmark the permalink.